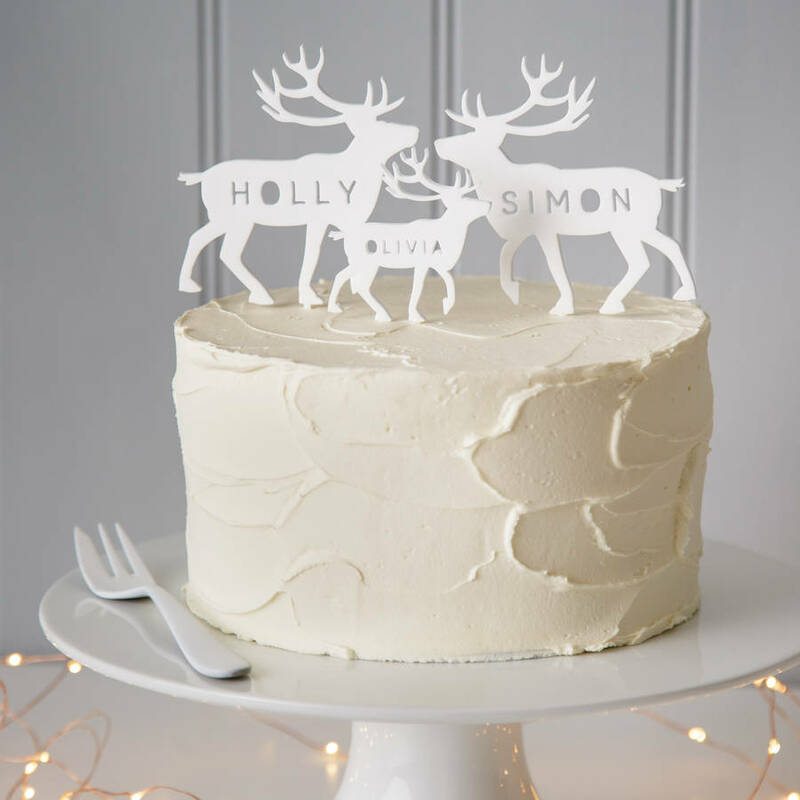 Add the final festive finishing touch to your Christmas cake with these personalised arctic animal cake toppers! This cake topper is sure to be loved by everyone in the family. 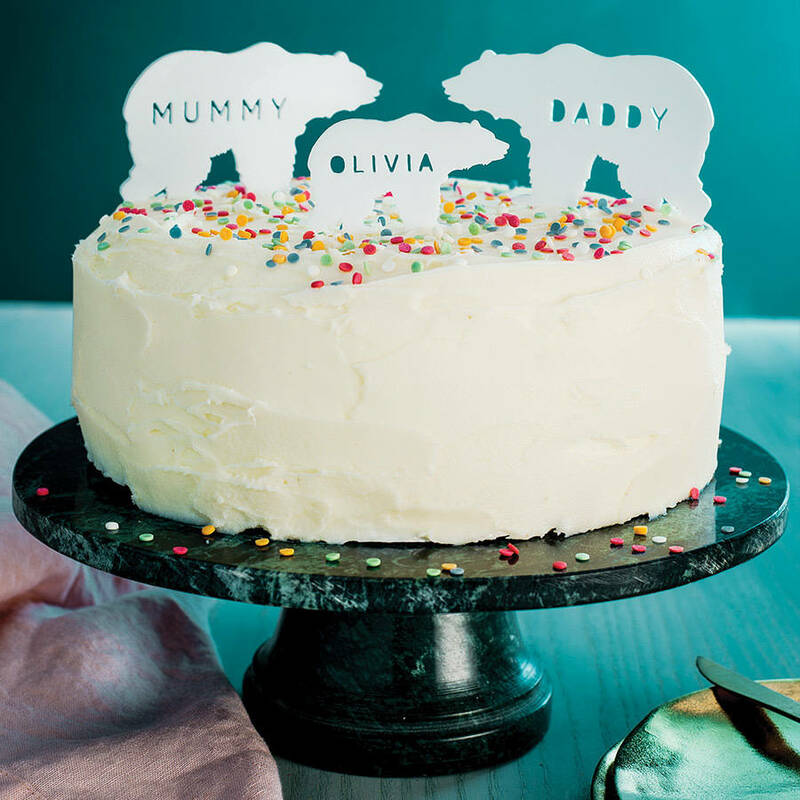 Each of our arctic animal decorations can represent each of your own family. 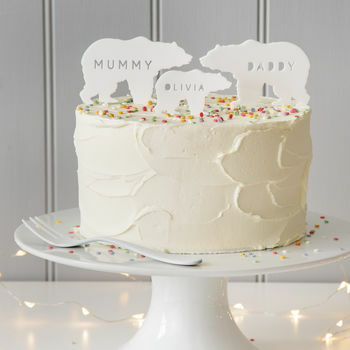 Choose from our Polar Bear and Reindeer designs. Please note that we can only allow for up to 8 characters per animal. Choose from our range of sizes from the drop down menu. The small animals are to represent the children, and large for the adults of the family. Each take topper also makes a lovely keepsake. Clean using water and soap, store flat and they can be used year after year. If you have a specific request, please contact us first and we'll do our best to help. Each small animal measures approx 6cm in width. Each large animal measures approx 9cm in width.